Richard Garsthagen recently became the proud owner of a Razor Crazy Cart. Seeing as though he only had one, racing against others was a bit out of the question for now. 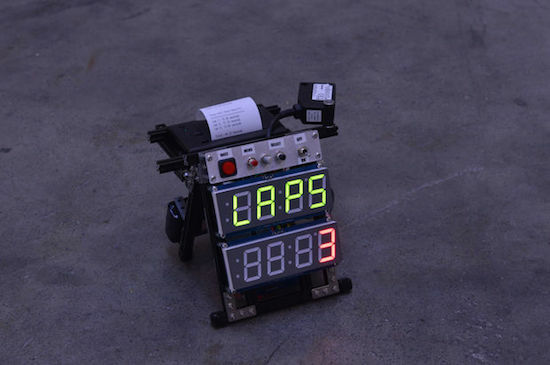 Being the Maker that he is, he came up with a solution instead: an Arduino Uno-based lap timer. 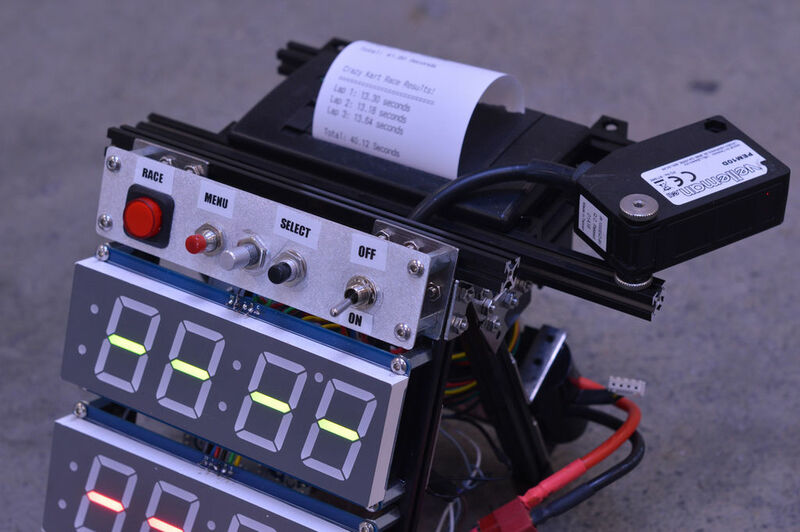 The lap timer uses an infrared light bridge to detect when something crosses the line, two Adafruit 7-segment displays to show the time and lap count, as well as a SparkFun thermal printer to spit out the final results. The frame itself is constructed out of MakerBeam components, while power is supplied through an 11.2V LiPo battery. Race mode: This is started by clicking the left “race” button. This will start the laptimer. It uses a “flying start” principle. So there is no count down, just start racing, when the first time you cross the line, the timer will start. It will display the amount of laps still to go on the top 7-segment display and the time on the second 7-segment display. Setup mode: When you click on the “menu,” 2nd button, you can setup how many laps you want to race. The system isn’t only limited to Crazy Carting either. In fact, it can come in handy anytime you want to see who’s fastest without directly racing one another, like running around the house.